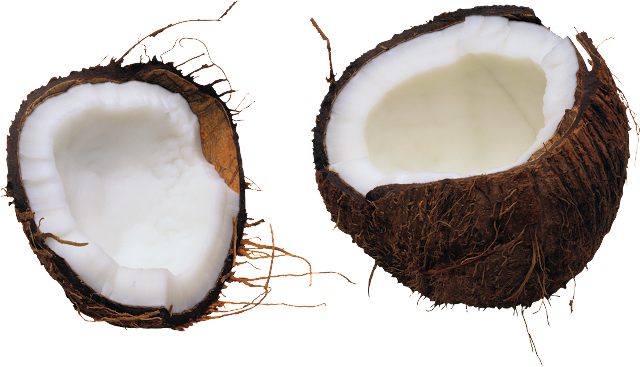 Remarks: : Coconut quality, grades and size specs vary significantly. There are no industry standards in the U.S. Sales have remained unchanged for decades, used as more of a table-filler. “Young” Coconuts however have become popular in large part due to tourism and visits to tropical and sub-tropical climates. 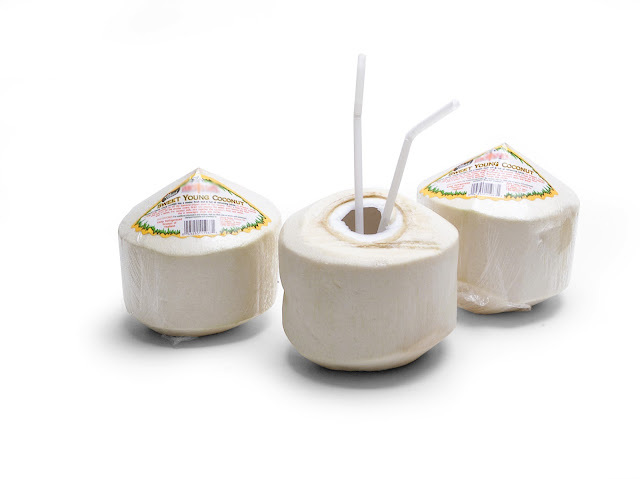 Displaying: Easy to handle, coconuts are price sensitive and an important staple ( mainly processed) of many ethnic groups. Displays should be dummied and kept in a secondary location. Quantity pricing is an ideal method to maintain steady sales and keep this product moving. Receiving: If only all produce was as easy to inspect as coconuts. Open cartons or sacks and shake the coconuts to ensure they are full of juice (reject dry coconuts). 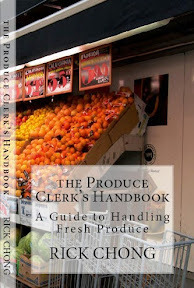 Check for cracks and mold, good fruit should be solid and unblemished. Do not drop cartons/sacks or you will crack open the fruit. 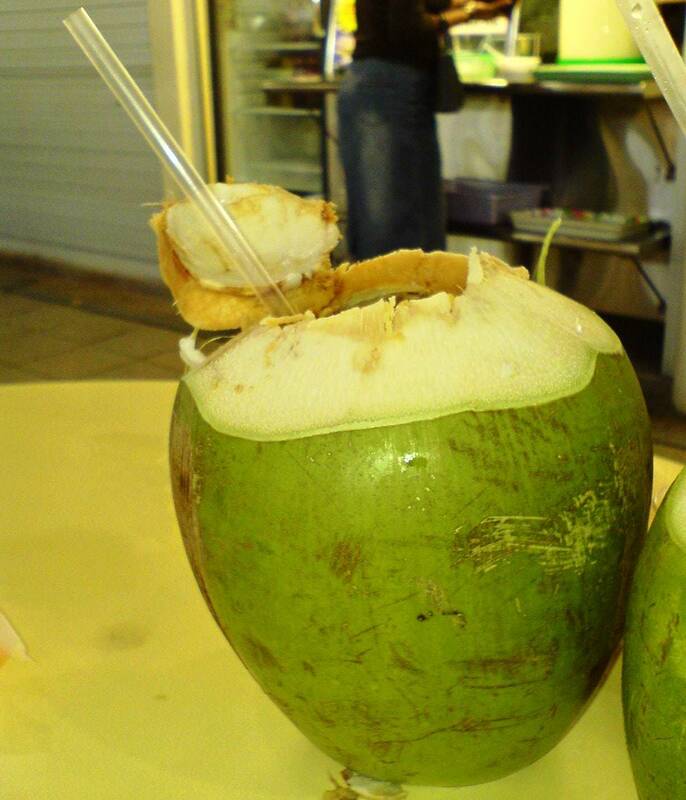 Coconuts can be stored at room temperature for weeks (refrigerated is better). 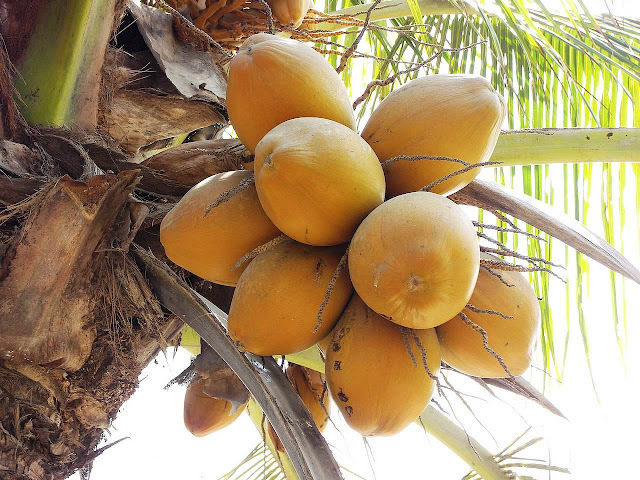 Young Coconuts: The giant outer green husk is trimmed down before packing and shipping, making it easier to open and drink the delicious and refreshing nectar inside. Bad product looks dried out with green mold and red-black discoloring and should be rejected.